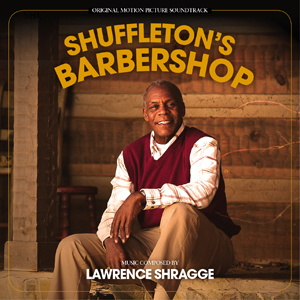 Inspired by famous artist Norman Rockwell’s original 1950 painting “Shuffleton’s Barbershop”, this original Hallmark television movie features Danny Glover, Austin Stowell and Kayla Ewell in a story about a famous country singer who returns home hoping to find guidance and reconciliation. The splendid soundtrack features Emmy-nominated composer Lawrence Shragge’s beautiful original score – a wonderful piece of understated Americana – and a number of original country songs, some of which are performed by the cast. Shragge’s score, which resembles the sensitive drama scoring of Thomas Newman, shimmers with celestial layers of strings and slide guitar and guitar-based melodies. We would not be surprised if this score results in the composer’s third Emmy nomination! Trancers - City of Lost Angels "Jack is Back"
GORILLA INTERRUPTED is a different kind of good! Cheezy Flicks: Two Damned and one Fired! Welcome KRONOS RECORDS to Our Family! MovieScore Media and Kronos Records "Join Forces"
Intrada Sale until August 9th, 2013!